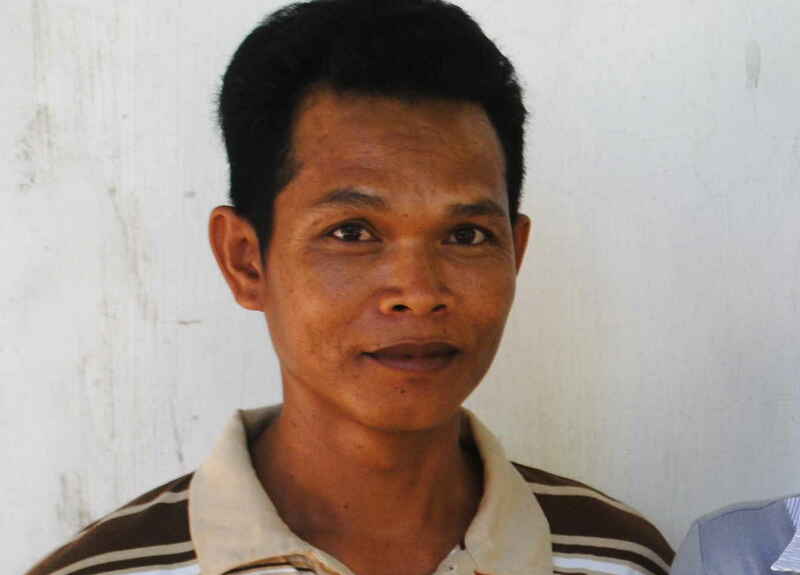 HeartCry Missionary Society > Sothon P.
Sothon is the pastor of the Shalom Church, Kandal. He has been the pastor for several years and reportedly has the gift of mercy, which is very necessary for the ministry in Kandal since it is located in one of the poorest places in Cambodia. In April 1993 there was a youth who told me that if I believed in Jesus Christ I would be saved from sin. I did not ask any questions at that time and decided to accept Christ on that day. When I became a Christian, he introduced me to the church near my house. I went to the church with joy. A month later I was faced with a problem because my brother and nephew persecuted, look down upon, and kept me from going to church. But, I continued going to church and praying to God to settle my life. I prayed three times a day to seek help from God. Then, I was baptized on March 27, 1993. Through my prayers, God made way for me to study at Phnom Penh Bible College in July 1993. I was in Bible college for three years and graduated on July 7, 1996. God then called me to serve Him at that time in Kandal. Here is how He called me. He put before me two things that I had to choose from: either share the Gospel as an evangelist or be a pastor. I prayed and decided to be a pastor. I then got married on October 10, 1996. I have served from 1996 until now in Kandal.